Riverfront Eats for August 21, 2018 has been canceled! 11 a.m to 2 p.m. Tuesday August 21, 2018. 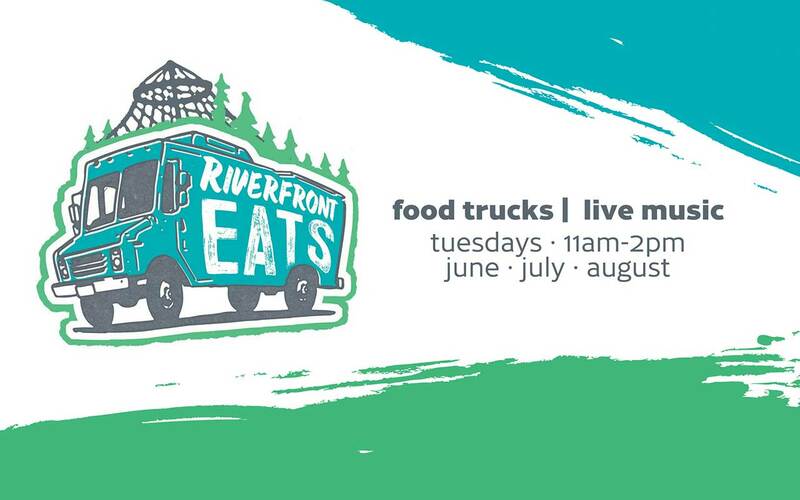 Join us on the south bank every Tuesday this summer for food trucks, live music, and a few surprises along the way. A portion of proceeds will benefit free and low-cost programming in Riverfront Park. This is the place to be every Tuesday for lunch!